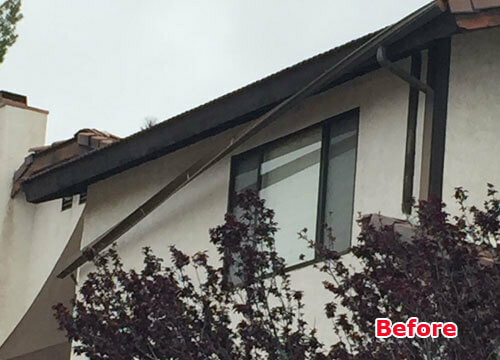 Jarco Roofing & Solar offers professional roof cleaning services to Inland Empire property owners as either a standalone service or as part of our roof maintenance and tune-up. Our experienced staff can do everything from cleaning out your gutters and lifting them in areas where they sag, to carefully washing off your solar panels to ensure a high output. We also wash skylights, and can clean your roof by removing debris, clearing drains, and power washing it, according to your individual needs. 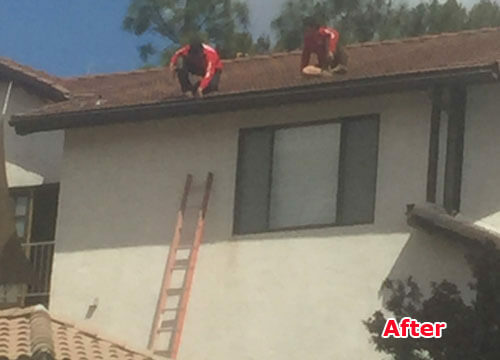 By having Jarco Roofing & Solar clean and maintain your roof, you'll always get excellent work at a fair price. We've served home and business owners throughout the Inland Empire since 1987, and earned a reputation for being very knowledgeable, offering exceptional value, and having honest business practices. We've worked on thousands of roofs throughout Southern California, ranging from mobile trailers to large commercial buildings. We're experts in all of the different roofing systems, including clay tile, concrete tile, slate, flat, composition shingles, synthetic, and more, and stay up to date on all of the latest practices as recommended by the National Roofing Contractors Association and requirements as set by Title 24 and local building codes. To schedule a roof cleaning, call Jarco Roofing & Solar today. We offer free on-site estimates. We also offer many other roofing services, including roof and leak repair work; new roof installation; re-roofing/roof replacement; roof certification and inspection; roof tune-ups and maintenance; and solar panel installation. Our hours are Monday to Friday, from 7-4, and our office is always happy to answer your questions. We've been in business for over 28 years and are licensed, bonded, and insured.